The 1920s Come Roaring Into The Park! You are here: Home / News / The 1920s Come Roaring Into The Park! bandstand was played in for the first time since its extensive restoration. 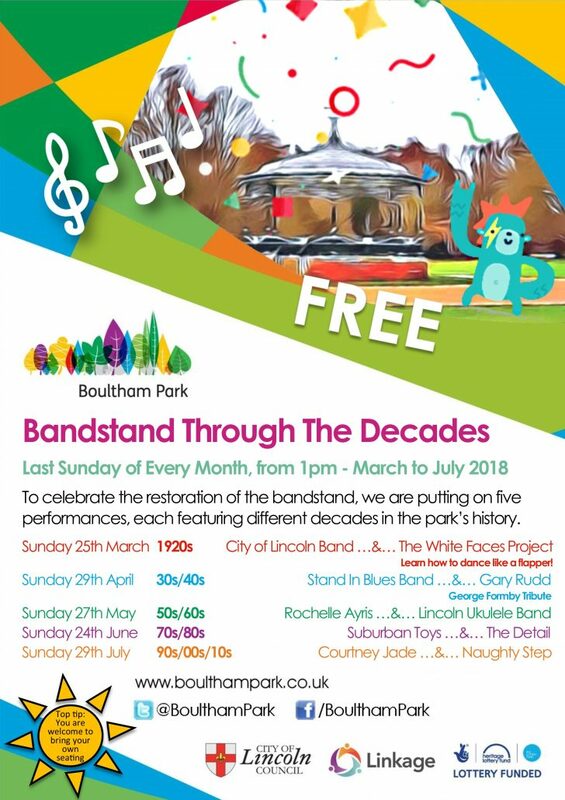 The first key event for Boultham Park this year was a roaring success, as over one hundred people visited the park to see the bandstand come alive with music for the first time since 2016. The event was the first in a series of performances featuring different decades throughout the park’s long life, with the 1920s being the focus of this show. The City of Lincoln Brass Band entertained the crowd over two 45 minute sets, whilst the talented ladies from the White Faces Project taught willing members of the public to dance in the style of an authentic flapper during the interval. The weather was near perfect and any chills were soon banished by dancing to rousing tunes such as ‘All That Jazz’ and the can-can! The Project Team would like to thank all those who attended, especially those who had a go at dancing, and to those who helped to make the day run so smoothly; the performers, Matt Hewson (sound engineer) and friends, and Continental Landscapes Ltd. These free performances have been made possible thanks to the generous £2.7 million grant from the Heritage Lottery Fund and Big Lottery Fund ‘Parks for People’ initiative, raised through The National Lottery, and also through the support of the Project partners, the City of Lincoln Council and Linkage Community Trust.